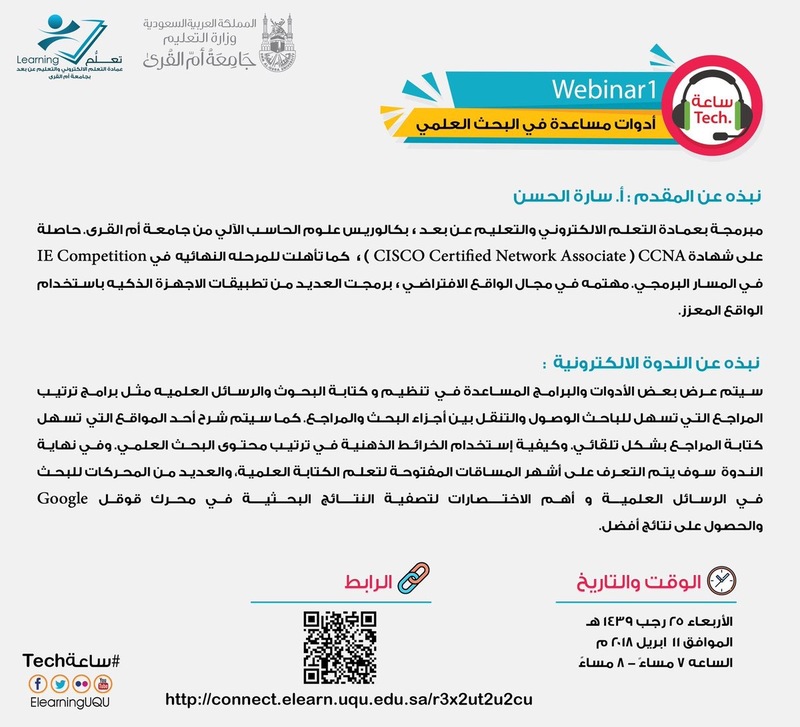 The Deanship of E-Learning and Distance Education at Umm Al-Qura University (UQU) is pleased to announce the first webinar entitled (Scientific Research Helping Tools), within the initiative #OneHourTech. The invitation is for whoever is interested in the technical topics and modern education. The webinar is on Wednesday 25 Ragab 1493 AH, corresponding to 11 April 2018, from 7:00 to 8:00 pm.